Arianna Scruton is pictured above with an animal shelter worker. 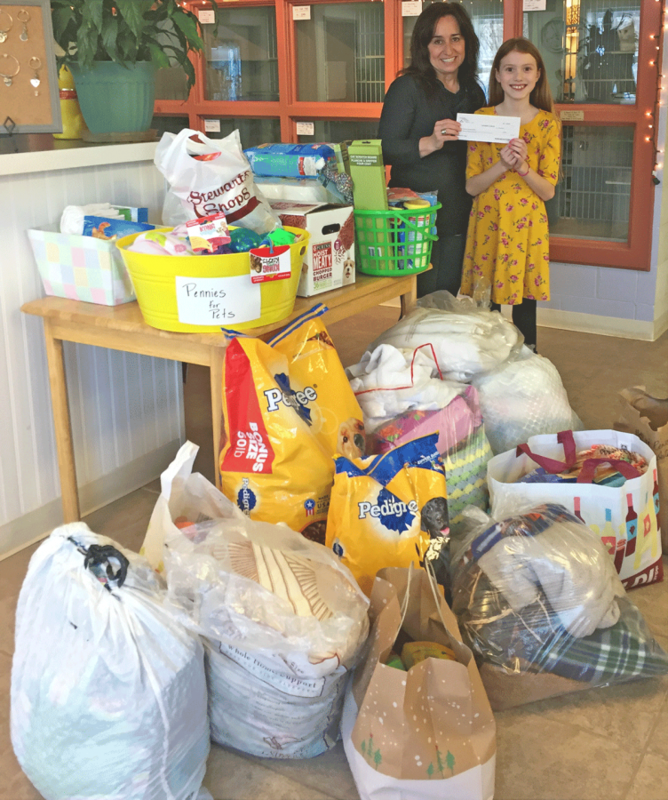 MASSENA – A third-grade student at Jefferson Elementary created “Pennies for Pets” to raise money and collect donations for the Massena Humane Society. Arianna Scruton wanted to start 2019 off with doing something positive, so she picked something she is passionate about: Animals. She made a video, it was posted it on Facebook to garner donations. She asked for monetary donations, blankets, towels, food and cleaning supplies. All donations were given to the Massena Humane Society. She was able to collect $800 and a bunch of goodies over two weeks. She has a few more plans to continue helping and raising money for Pennies for Pets and is appreciative of the donations and so is the Massena Humane Society.